Streaming your favorite Contemporary Christian Music (CCM) artists online along with inteviews and music review programming. VOWRADIO utitlizes Spotify and YouTube based platforms, so all you have to do is "click and play." Available on all mobile and computer devices. Additional programming includes interviews with artists and faith community leaders on the "FiveNFive," and our newest show, "90 Second Review" covering the newest music releases. The "FiveNFive" is a the fast-paced interview program on VOWRadio (Voice of Worship Radio). Special guest artists and faith community leaders have only five minutes to answer five questions. Tune in to hear reviews and commentary from your host, Shawn Thomas - including today's latest releases from CCM top artists as well as independent Christian artists. 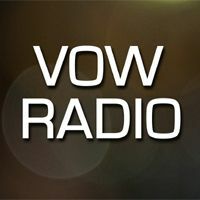 Voice of Worship Radio (VOW Radio) is an outreach of The Ministry of Aaron's Rainbow Project (ARP). To learn more about how you can support this ministry and it's other projects, visit www.AaronsRainbowProject.com. Copyright (c) Aaron's Rainbow Project. Produced by Shawn Thomas Studios.